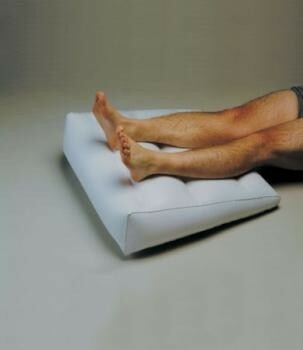 This inflatable cushion is designed to comfortably relax and elevate the users legs. Being extremely versatile it can also be used as a back or head support or as a foot cushion. Inflatable Elevator Cushion...This inflatable cushion is designed to comfortably relax and elevate the users legs. Being extremely versatile it can also be used as a back or head support or as a foot cushion. It is easily inflated and deflated with the pump supplied, making it fully portable. Size 635 x 685mm (25 x 27").